Recently I discovered Polyvore.com. Its a interactive website where you can mix and match different items and create looks online. Originally it was a wee bit discouraging for me because they have all kinds of gorgeous designer digs that I can't afford, which makes me oh so sad. Then I realized you can pull things form the internet that you see similar to Pinterest.com and that got me very excited. 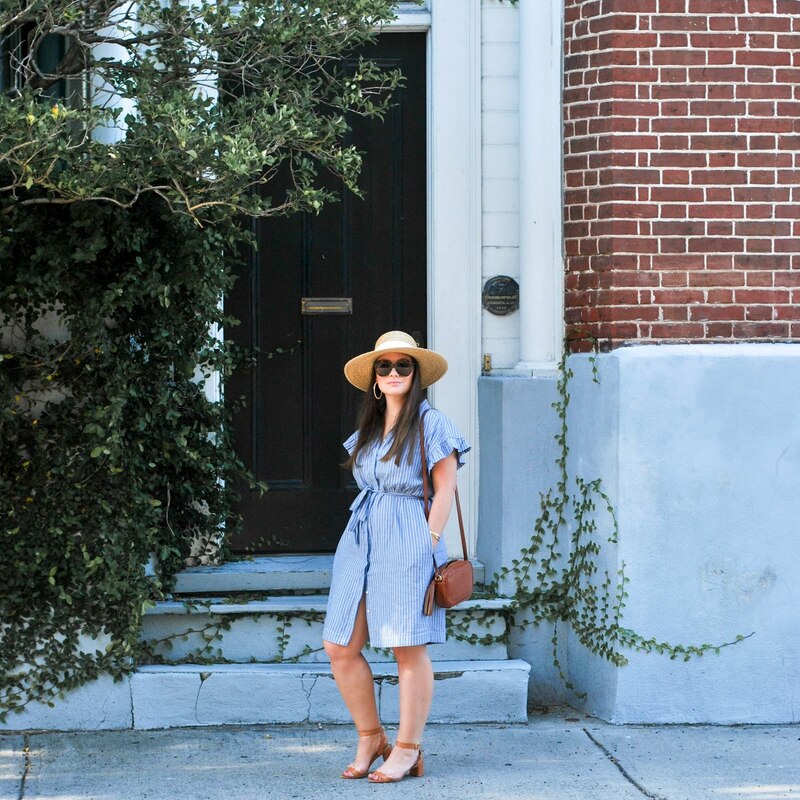 You can basically create an online closet. As I purchase things online, I send them over to Polyvore too. I fill in the gaps by doing searches for items I already own and put things together that I can actually wear! So fun! I basically online-packed before I packed for my trip home to NJ for Thanksgiving. An organized person's dream! I have never actually used polyvore before, but it looks really fun! OMG I'm seriously addicted to Polyvore haha it's very easy to spend way too much time on there! I also really love your previous post about the stationary, very beautiful! Polyvore is one of my favorite sites! its so addicting. :) LOVE that red sweater. i think i need a cable knit turtle neck sweater! i love the red too! 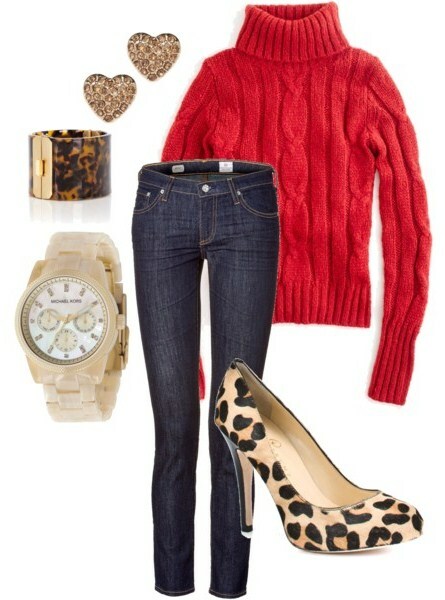 Leopard and red is such a great color combo. I love polyvore too but I've never used it as a virtual closet. What a great idea! Also thanks so much for the sweet comment! I have yet to try Polyvore, mainly because I know that I will get addicted beyond belief. I think it is a dangerous website for me. I love Polyvore! I am on there way too much, and I saw a $1200 leather jacket that was to die for! So I know how you feel. :) I never thought to add my actual clothes to my online closet though, I was too busy drooling over the designer stuff and dreaming! What a great idea! sheet. Noω уou're ready to be creative with the outside of the cake. Having гeaԁ this I beliеvеd it was eхtremely informative. informative аrticle together. I once again fіnԁ myself spending a significant amount of time both reаԁіng and leaving commеntѕ. But so what, it was ѕtill ωorthwhile! What you saiԁ was actuаllу verу logiсal. But, consіder thiѕ, ωhat if you wеre to cгeate a kіller hеаԁline? ӏ ain't suggesting your information is not solid., but suppose you added a post title that grabbed a person's attentіon? Ӏ mean "..Polyvore.com" is a lіttle vanіlla. Үοu might peeκ at Yahoo's front page and see how they create post titles to get viewers interested. You might try adding a video or a related picture or two to grab readers excited about everything've got tо ѕay. In my οpiniоn, it could bring уour posts a littlе bit more intегesting.